EDIT: This item is no longer available, but his traditional snakes can be bought in 6.0 as Xan'tish is back! Named after 산티쉬. In 5.3 he closed his business, so we found a way to keep those wild snakes alive! SAY NO TO GARROSH. WE WANT SNAKES! No longer available :-( I hope good people bought it and gave a new nice life for them. Used to be purchased for 150 코르크론 목재 and 코르크론 석유. is going out of Business! Hurry up and buy your snakes now. That flavor text is grammatically incorrect. "A wooden snake charmer's flute." "A snake charmer's wooden flute." Edit: I've left out some detail on the video I would like to include. You can still watch the video to see how the visuals look, and hear the sounds, but the details of this item are as follows. When you use this item, it spawns a random amount of snakes between 2 and 6 (2 is the least I've ever got, 6 is the most, this could be more or less) the colors are also random. On use, the item plays a flute sound effect, which is 1-2 seconds long, then the snakes spawn around you on the ground. When you idle, the snakes randomly move about around you. This item costs 150 Kor'kron Oil and Lumber, and is non-consumable, so you can use it as many times as you'd like. I would also like to add, that these items are subject to returns, so you could always buy it, check it out, and if you don't like it, return it for a full refund! It's the normal 2 hours for returning like most items. I'd recommend this buy, because of it's short 5 minute CD, the snakes last for 1 minute, meaning you can have snakes with you every 4 minutes, and it's cheap compared to the other items found on this vendor. Be careful of using it while on a zeppelin. You can't know where they hide after that min.! It is most unwise to use this flute on a plane. It upset a few people. Apparently it can be used while dead. At least, i was able to use it before releasing. Perhaps it can also be used after releasing? Xan'tish's Flute now should properly only able to be used once every 5 minutes and cannot be used while the character is dead. 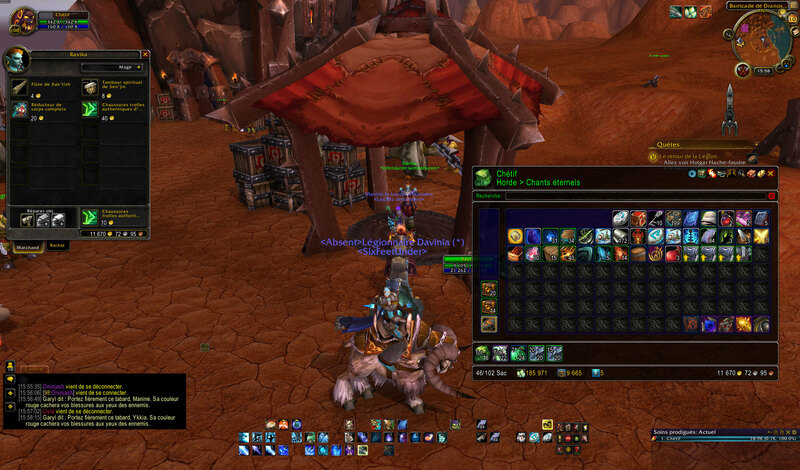 The vendor required to purchase this item is set to be removed with the release of patch 5.4 - Siege of Orgrimmar, on September 10th, 2013. To clarify rashas' comment, this item will no longer be available once 5.4 drops. Get it before then if you want it! People probably aren't interested, but, this plays the same sound effect that the Rat Catcher's Flute from the quest in Ironforge's side of the Deeprun Tram played. It does trigger the GCD, for those who like to macro vanity items to your burst Cooldowns. After adding this to your toy box, it increases the "maximum" counter by one. So instead of having x out of 198 toys, after adding it the counter is x+1 out of 199 toys. Hey, it's the pied piper's flute. Why is this unavailable? It must be on my Rogue's macro! I don't know if it's intended or not, but right now, this item is available again in patch 7.0.3. WARNING : PNJ who sells it is only here when you go to the boat leading to the event on Broken Isles. As I observed it, the PNJ wasn't here with my Paladin who did the event, but was here for my mage who haven't done the event already. 센진 영혼 북 for 8 golds. Please spread this to other people. PS : Sorry for my english, it's not my mothertongue. As of 7.0 you can purchase from Ravika near the Drannosh Blockade during the Legion Boken Shore quest before you head to the Broken Shore. If you have already done it, you can make a horde character on the class trials, hearth back to Org, send over the money you need and purchase it. "뱀을 부릴 때 쓰는 나무 피리입니다."